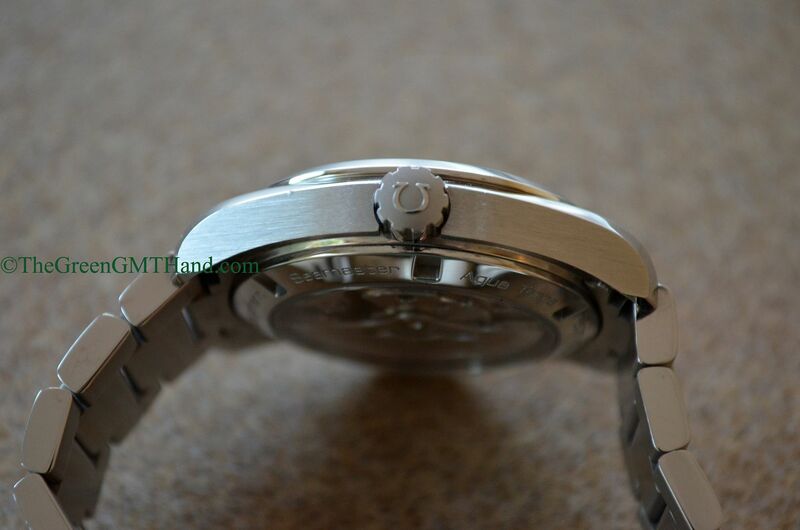 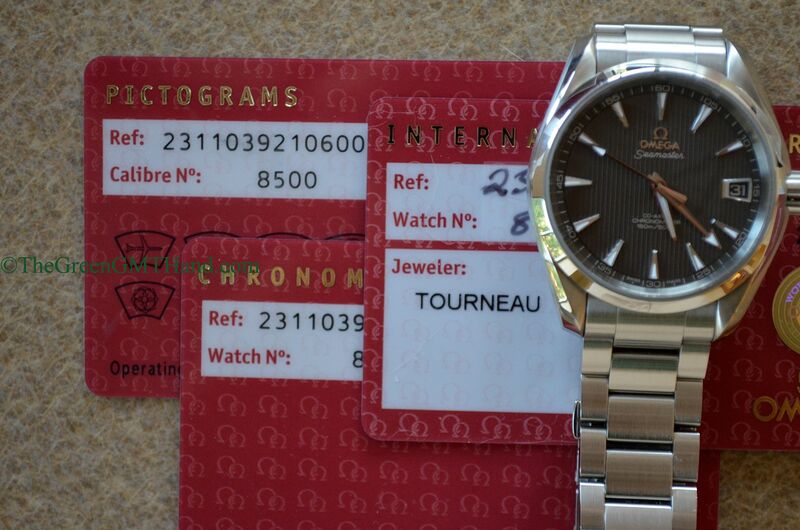 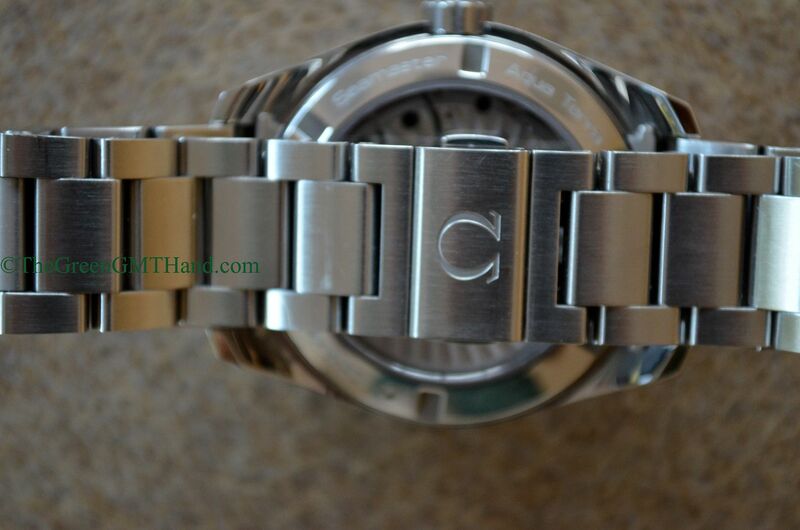 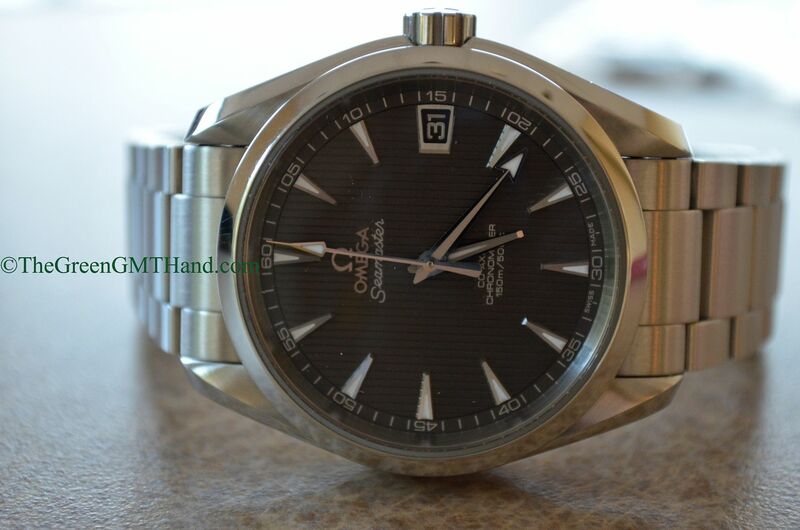 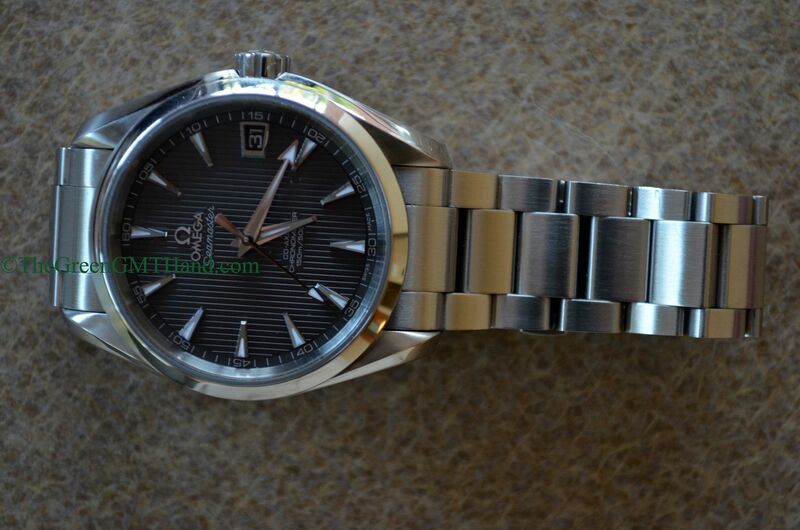 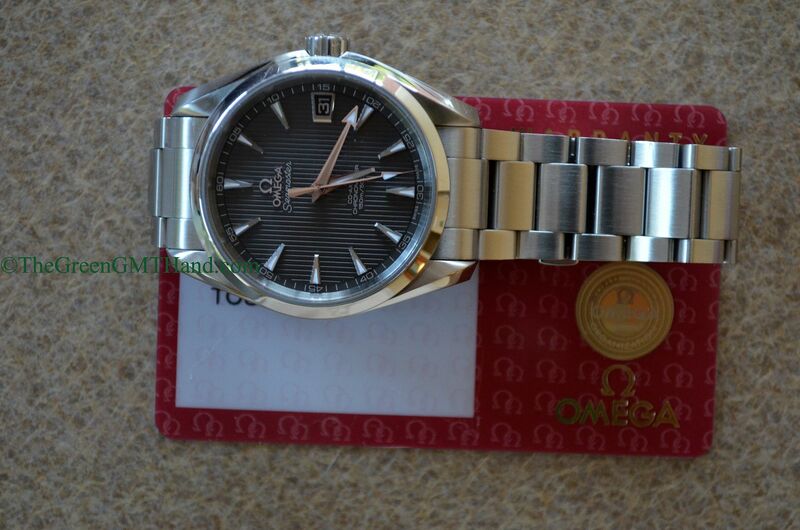 This Omega 231.10.39.21.06.001 Aqua Terra is the smaller version AT at diameter 38.5mm. 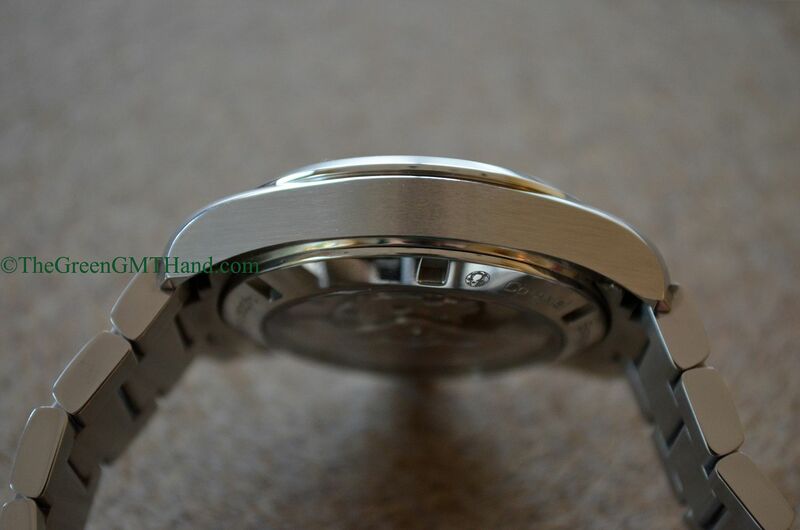 The larger AT is 41.5mm, and our client specifically requested the 38.5mm in this dial color. 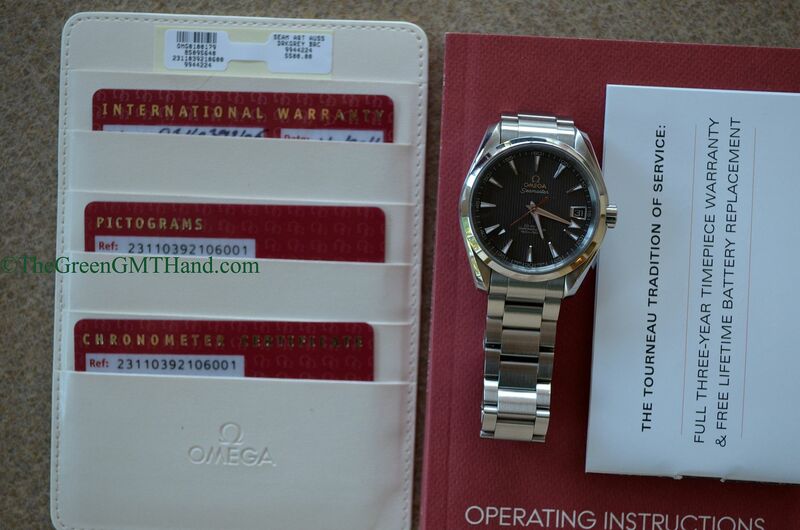 We found it for him and delivered this beautiful complete set. 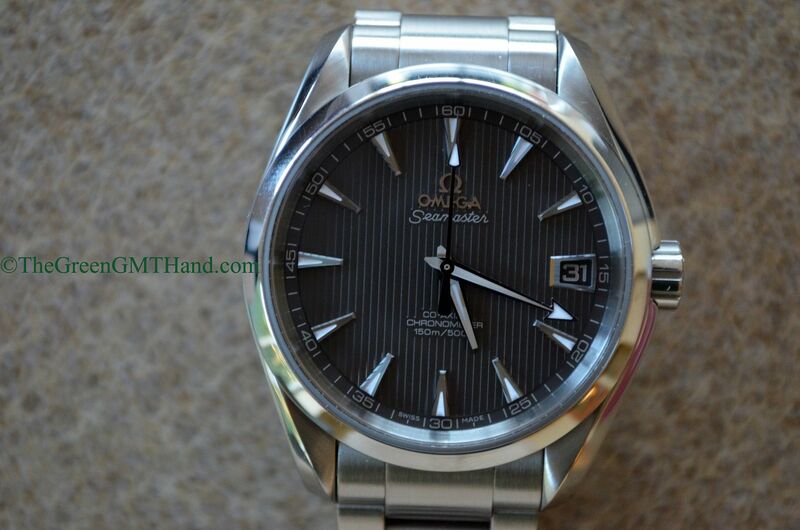 This newly upgraded Omega Aqua Terra features the completely in house Omega 8500 movement that now has 60 hours of power reserve thanks to its innovative twin barrel system. 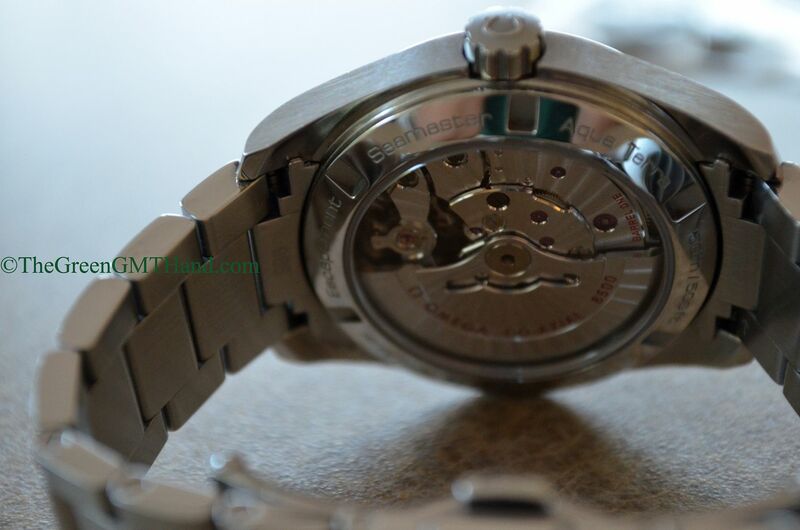 Co-Axial escapement is now standard, and this Omega features a beautiful see through sapphire caseback to enjoy the well decorated movement. 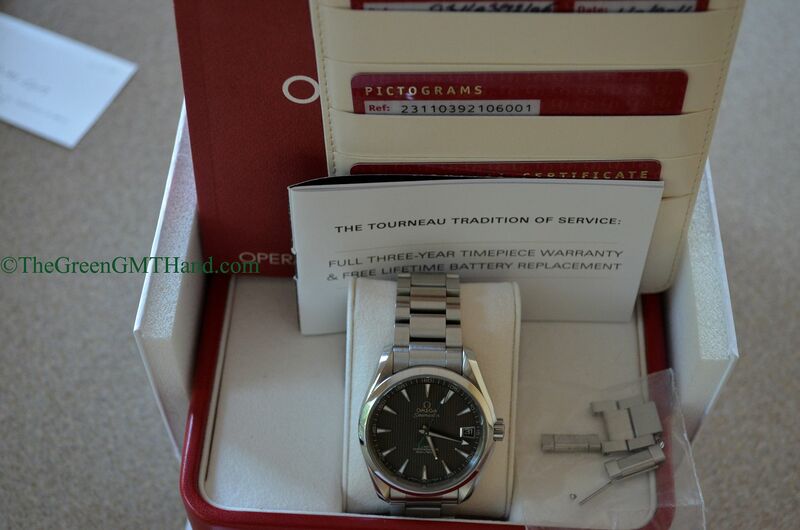 SOLD and delivered to our buyer as a complete set with all original boxes, cards, and manuals.